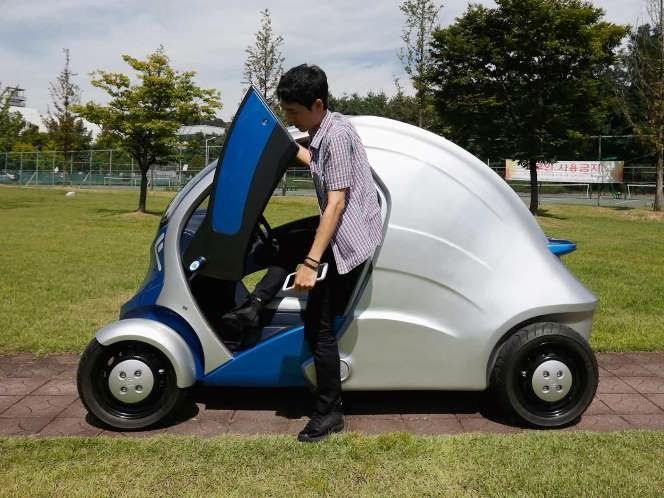 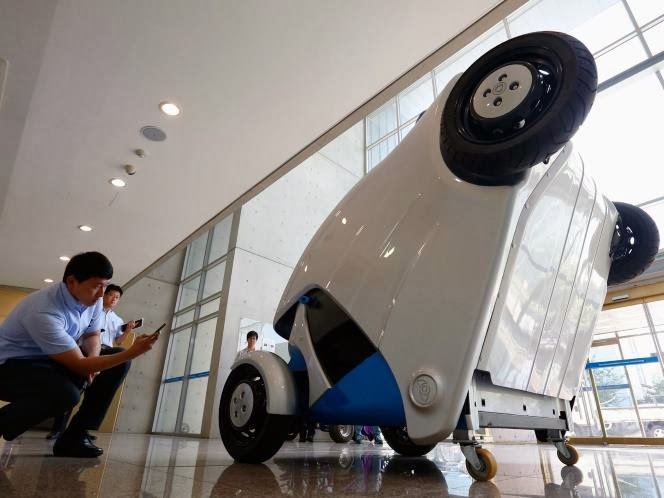 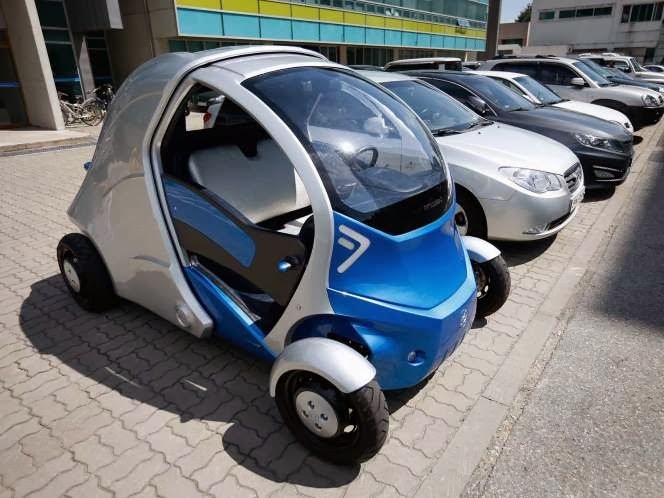 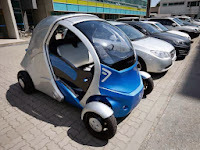 With a click on a smartphone, the experimental "Armadillo-T" electric car made in South Korea will park itself and fold nearly in half, freeing up space in crowded cities. 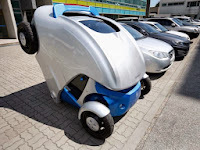 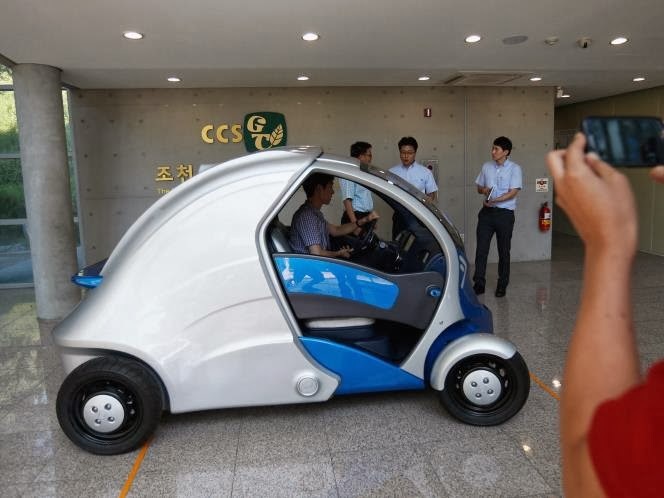 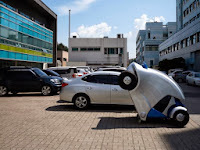 'They can be parked in every corner of the street and buildings, be it apartments, shopping malls or supermarkets,' said Suh In-soo, a professor at Korea Advanced Institute of Science and Technology who led development of the car. Suh did away with rear-view mirrors by adding tiny digital cameras that show the back and sides of the car on a flat screen on the dashboard. 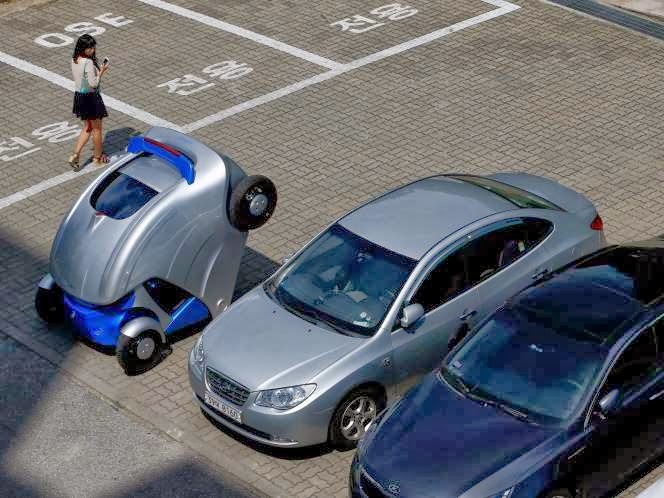 A Windows-based computer system communicates with the driver's smartphone and enables self-parking.